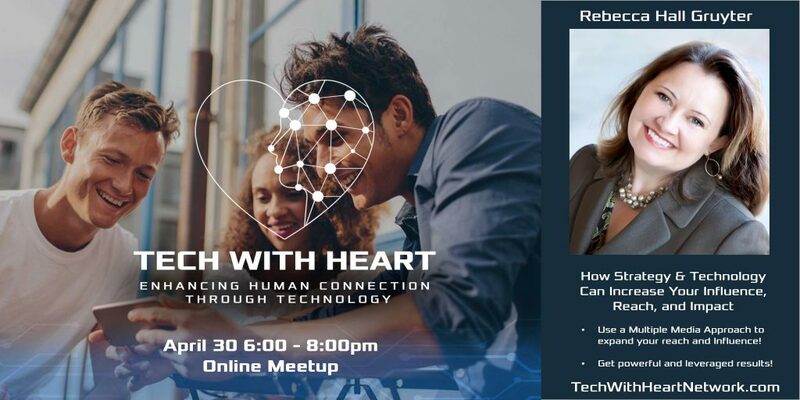 Tech With Heart is a community event for forward thinking, heart-centered business leaders who are interested in enhancing human to human connection through the use of emerging technologies and disruptive marketing techniques. April’s (online) https://bit.ly/2GCufvd event offers a positive, friendly, professional atmosphere, power networking and brainstorming opportunities, educational presentation and hands-on workshop opportunities. Our mission is to empower and enlighten you as to what is available, and what is possible in the realm of effective marketing technology that will quickly elevate your level of impact, influence, and ultimately increase your income. Be seen, heard, and shine! Be seen as an expert in multiple medias! Use a Multiple Media Approach to expand your reach and Influence! Get powerful and leveraged results! 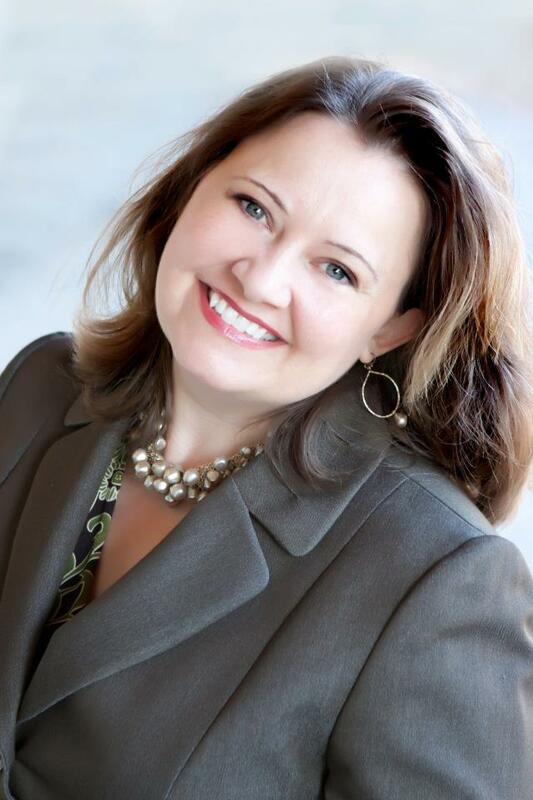 Rebecca Hall Gruyter is an influencer and empowerment leader that wants to help you reach more people. She has built multiple businesses and platforms to help influencers and experts reach more people. These platforms include: Radio, TV, Network Level Influence, books, magazines, the Speaker Talent Search, social media reach and Live Events/conferences. Creating a powerful promotional reach of over 7 million! Rebecca is the CEO of RHG Media Productions, Founder/Owner of the RHG TV Network, Network Director of the Women’s Channel of VoiceAmerica in both TV and radio. And the Founder/Owner of Your Purpose Driven Practice and the Creator of the Speaker Talent Search. Recently, she received the honor of one of the top 10 working women of America for her empowerment work in the area of entrepreneurship.